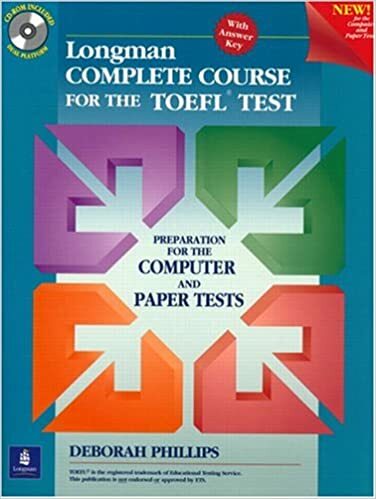 The CD-ROM included with the book has 1,475 TOEFL-formatted questions, 200 additional writing practice questions, a tutorial, test sections, pop-up explanations, scoring, and record-keeping. Windows/Macintosh format. Contain recorded listening material from the book. Has scripts of the listening material and an answer key with explanations. Get even more practice with this additional bank of questions on CD-ROM! This program also has a companion website with invaluable online resources for instructors.